The practice of Tai Chi connects the entire body into one big piece. This video focuses on the back. A webpage duplicate of the video follows for those who prefer to read instead of watching a video. 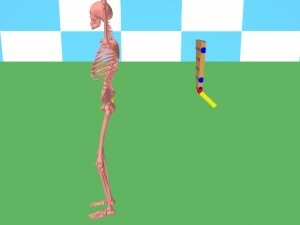 Some video viewing will still be required as the video contains animation to demonstrate some points. The back of the human body is composed of many different muscles that work in many different ways. The practice of Tai Chi is designed to merge all these different muscles into one big muscle. 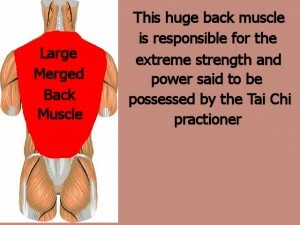 This merged back muscle is responsible for the incredible power that Tai Chi is said to give to the practitioner. Here is the example model. When a person performs the Tai Chi forms, they are supposed to tuck their tailbone under like this. Why? 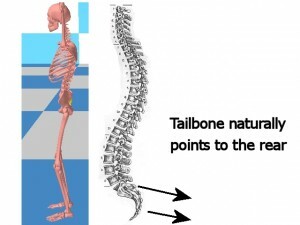 Tucking the tailbone allows the back to act as one big muscle. 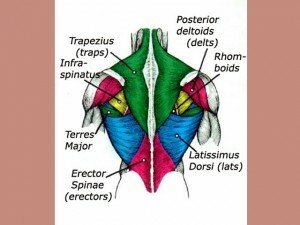 If we look at the back of the human torso, we can see that it has an inverted triangular shape. 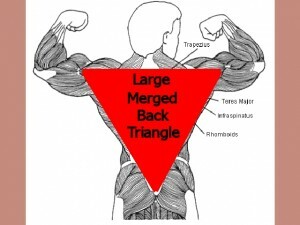 If the back is merged into one big muscle, that muscle would behave like one large triangle. 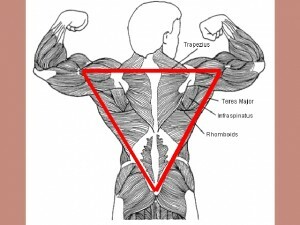 This triangle will represent the large merged back muscle. The triangle is strong if it is one piece. 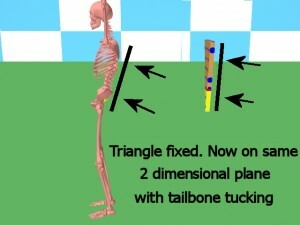 If we look at the side of the human skeleton, we can see that the tailbone naturally points to the rear. 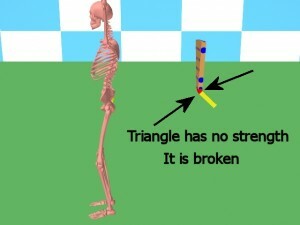 This triangle has lost it’s structural strength because of the bend at the tailbone. 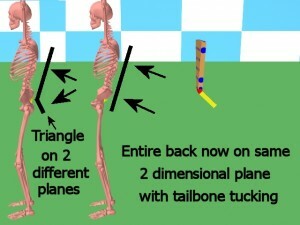 puts the entire back triangle on the same two dimensional plane. 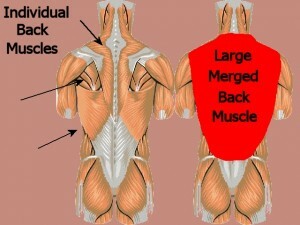 The back can now merge into one large triangular acting muscle. 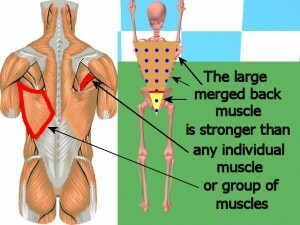 This large muscle is much stronger than any singular muscle or group of muscles in the back. Notice From Michael (Mike) Guen To Students About Revised Private Lesson Times.